In the future your children won’t just be competing against other children, they’ll be pitted against robots and computers too. What’s a parent to do? Teach them about the best parts of being human: curiosity and creativity. Researcher Jonathan Mugan is bringing his specialty in machine learning to the nursery. His book, The Curiosity Cycle helps parents find simple ways of inspiring children to have the flexible thinking and boundless interest they’ll need to stay competitive in the 21st Century marketplace. It’s not about rote memorization or even developing specialized skills, it’s about raising kids who can understand the world through ever evolving models that they challenge and refine. An old school child will answer questions on a test because they are told they have to. A curious child will test themselves and their environment long before a teacher ever hands out an exam. 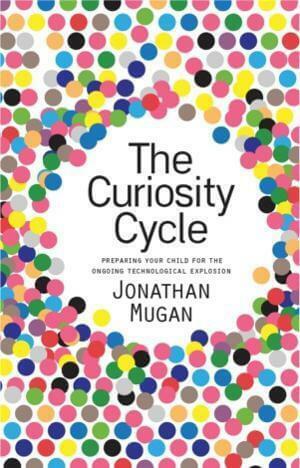 Singularity Hub spoke with Mugan about The Curiosity Cycle and the science behind it. As machines take on bigger roles in society and the economy, humans will need to embrace the advantages of their humanity even as they take their rightful place at the top of the digital world. Children aren’t born with degrees in psychology and computer science, but their brains seem to understand those principles all the same. The first two thirds of The Curiosity Cycle is largely focused on giving parents some subtle (and not so subtle) ways to inspire their children to approach the world with an adaptive and examining mindset. Mugan steps the reader through fun ways to introduce mathematical concepts, logic, patterns, and more, so that kids can have the foundation needed to build a complex understanding of how the world works. Many of the concepts will be familiar to those who have read books on developmental psychology, and other ideas will seem like well-articulated common sense. Still, Mugan’s first seven chapters serve as a wonderful reference in how to guide children towards self-education without necessarily resorting to overt lectures and lessons. The last third of The Curiosity Cycle is where Mugan really distinguishes himself, however. He explains the subtleties of how computers “think” and the advantages children still have over machines that can perform millions of computations a second, but have difficulty in making useful assumptions. Mugan’s later chapters will help parents embrace the benefits of the digital age, learning the lessons that search engines and social networks have taught the world – mainly that holding knowledge is not as valuable as evaluating knowledge. The end of The Curiosity Cycle is a wonderfully insightful walk through augmented reality, cyborgs, The Singularity, and all the other emerging technological trends that our children will have to face. If Mugan starts his book with wisdom that would have been familiar to our grandparents, he ends it with wisdom that seems to come from our future grandchildren. For those interested in learning more about The Curiosity Cycle, the first chapter can be read online for free, and the book is currently available on Amazon ($13 paperback, $10 Kindle). Or, you can learn more from Mugan himself in the following Q&A. Whether or not The Curiosity Cycle serves as your field manual, the world of the next generation is going to require focusing on some skills and forgetting others. Best prepare yourself and your kids for the new kind of education. Singularity Hub: Hi Jonathan, thanks so much for answering our questions today. To start us off could you tell us a little about your background, your expertise, and your current work? Jonathan Mugan: My background is in psychology and computer science. My PhD research focused on developmental robotics, which is the field of study dedicated to enabling robots to learn about the world in the same way that human children do. While doing a postdoc at CMU, I worked in the area of user-oriented machine learning to help users specify privacy policies. To see some of Mugan's work in machine learning click the image and watch his presentation on Qualitative Learner of Action and Perception. SH: What is The Curiosity Cycle, and what inspired you to transform the concept into a book? JM: The Curiosity Cycle is a process for constructing knowledge that consists of identifying features in the environment, building models from those features, and testing those models to identify yet more features and models. I began my robotics research with the goal of applying theories from developmental psychology to robot learning, but I found that those theories were not specified in sufficient detail to be implemented on a robot. The Curiosity Cycle is the result of taking those ideas from psychology and making them concrete enough to be implementable. When my first son was born, I noticed that there were few books for raising intellectual children that were both grounded in psychological research and practical enough to be actionable for parents. My hope is that The Curiosity Cycle fills that gap. SH: It seems like common sense for researchers in robotics or artificial intelligence to leverage lessons learned in child psychology in their work with machines. To what extent does your book take the opposite approach, and how has your experience in robotics affected your theories of human development? JM: The goal of developmental psychologists is to describe how developmental learning takes place. 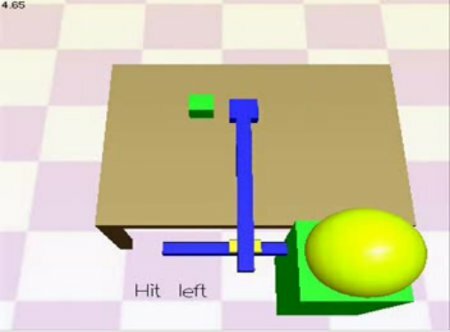 By contrast, a major goal of developmental roboticists is to build a robot that exhibits such learning. By designing robot learning algorithms, I have come to appreciate the importance of knowledge and how we take it for granted. For example, if I move a table with a book on it, even a young child knows that the book also moves—robots don’t. Sure, you can tell robots that the book also moves, but there are a seemingly infinite number of such facts and basic-level deductions. SH: The Curiosity Cycle has a rather extensive bibliography, but could you summarize the major studies or theories in developmental psychology that support the techniques you espouse in the book? Developmental psychologists have also described learning as a process of active exploration. Eleanor Gibson proposed that human children are endowed with systems to allow them to explore and learn about the world. She emphasized that it was this exploration that enabled cognitive development. Alison Gopnik stresses that children explore to learn new things while adults are more rigid and exploit previous knowledge. Presumably, this is why it takes young children so incredibly long to put on the their socks and shoes. SH: How have you applied the lessons you outline in your book to raising your own children? JM: One thing I do is experiment with finding the right features to jump-start their curiosity cycles. For example, I recently stumbled upon a method to get them interested in learning Spanish. I told them that as they get older, it will be cool to speak Spanglish (a mix of Spanish and English) with their friends. I gave them some examples, and they thought the juxtapositions of the two languages were hilarious. Suddenly they were asking me questions to learn more and practicing what I had already taught them. SH: What separates a good, but generic, book about raising children from a good book about raising children in the 21st Century? JM: A book about raising kids for the 21st Century needs to tie deep principles of learning with the societal changes brought by technology. With the steady improvement in computer intelligence, some skills such as memorization should be de-emphasized, while others such as creativity are becoming more important. With smart computers like Watson being able to answer arbitrary questions of fact, the asking of insightful questions becomes more important. SH: What role do digital (video) games have in raising the modern child? JM: Video games prepare children for a future in which virtual worlds take on greater importance. Games also allow children to safely learn in simulated situations that might be dangerous in real life. But we need to be careful. More than simply being fun like movies, games are designed to trick our minds into feeling like we are being productive and working towards a real-life goal. This illusion is what makes the hours fly by. SH: Online social interactions are becoming an increasingly large part of our children’s lives. In your opinion, can a digital social life be a fulfilling social life? Should parents accelerate or temper their child’s digital dependence? JM: A digital social life helps to fulfill our need to share experiences and to have a record of our lives, but new communication mediums present new dangers. The digital records that your child creates may be seen by unintended viewers, such as future employers, and used against them. Also, it can be easy to fall into the trap of over-relying on the asynchronous nature of digital communication. Face-to-face communication with all of its speed and richness is a skill that takes decades to master, and a child would be severely constrained if he or she never fully developed that ability. SH: As robotics and artificial intelligence advance, what will be the value of human capital? Will creativity be the only remaining human currency? JM: We humans have brawn, brains, and dexterity. In the workplace, machines first replaced our brawn. They then started to replace the primitive aspects of our thinking ability such as number crunching. We have highly precise manufacturing and surgical robots, but we still don’t have affordable robots that can manipulate objects in unstructured environments. This leaves us with the creativity needed for the arts, sciences, and high-level strategic decisions, and the dexterous ability needed for tasks like hairstyling. SH: Please share your thoughts on the possibilities of the Technological Singularity and what it may mean for our children, and for the families of the future. JM: The Singularity seems to me to be both impossible and inevitable. But when the impossible occurs, I am cautiously optimistic that it will be positive for humanity. We evolved through a process of natural selection that favored aggressive action to overpower any entity that tried to dominate us. Because of our nature, we assume that machines will one day do the same. But machines did not evolve; they were designed by us to be helpful and insightful. Future machines will hopefully maintain that inherent nature even as they become increasingly intelligent.